The ABLOY PL321 Brass Padlock is built with a number of innovative features that provide maximum protection against physical attacks. One example is the free-spinning protection plate which effectively prevents drill bits from penetrating the lock. The stainless steel ball bearings are also designed to lock the shackle at both ends, providing an additional layer of security. The rotating disk cylinder system found inside the padlock is virtually pick-proof and allows for a wide range of master keying options to keep your valuables secure. 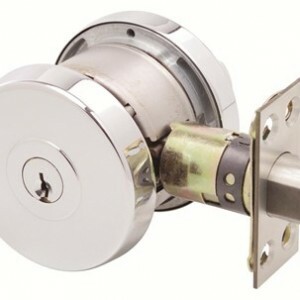 This all-purpose padlock is suitable for a wide range of applications from securing storage doors to locking gates and more. The key is removable in the locked position. 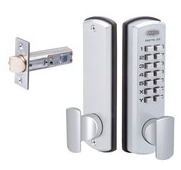 The ABLOY PL321 Brass Padlock is well built and provides a high degree of security. Contact us today to place an order on this padlock. 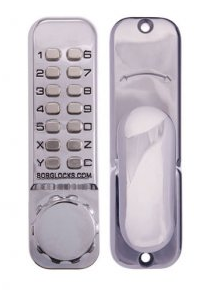 We also have a wide selection of locking solutions from high security key systems to key storage cabinets and more. Our team is here to help with any of your security requirements.